I absolutely hate to be cold, and this used to prevent me from running outside in winter. Then I discovered that there's nothing quite like fresh air mixed with the peacefulness of running in a snowy landscape. It takes some planning—and the right cold weather gear—but then you're set to head out at any time. You don't realize how much you sweat when you run outside in the cold. 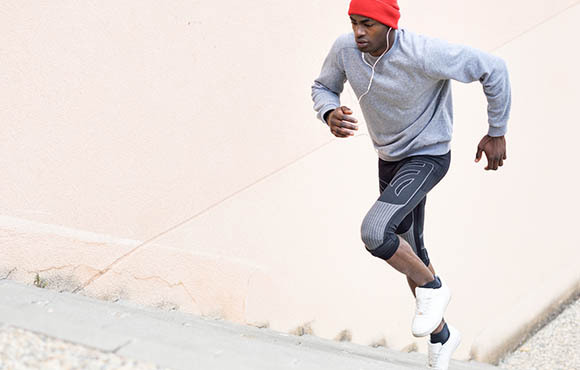 When you have a few layers on, the sweat will often evaporate during your run, especially with low humidity and wind. 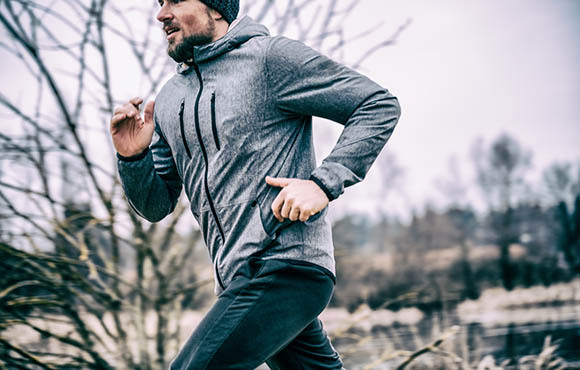 High tech fabrics help to keep you warm and dry, but you may not realize how much you have sweated, because it's not running down your legs. Everyone has a different thermostat. Figuring out what to wear for different weather conditions may take a bit of trial and error. 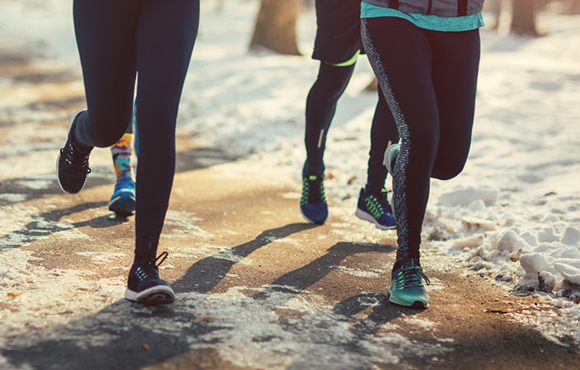 You should start out feeling chilly before you run. But you'll warm up and start feeling more comfortable between 8 and 15 minutes in. 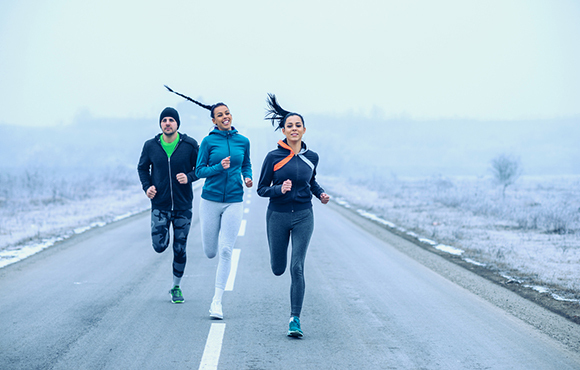 If you're doing a faster tempo run then you will be warmer than on a slower run. I always look at which direction the wind is coming from. If the wind is greater than 10 mph, it will be a factor when running. Not only will it slow you down but it will affect your body temp. If you know the wind usually comes from one direction, like the North, then try to run East/West for the majority of the run. Try to avoid running into the wind for an extended period. It's best to face the wind at the beginning of your workout, when your sweat is minimal. 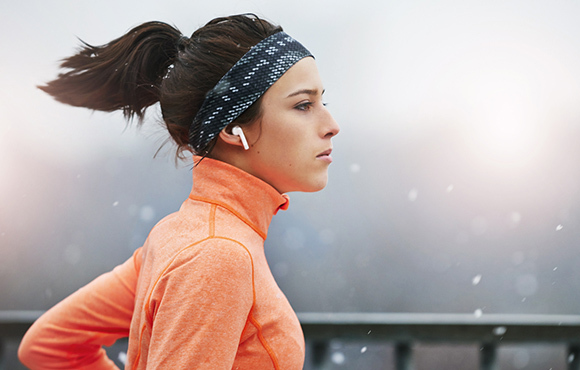 Running into the wind after you've sweat a lot can make you really cold. If you have to run into the wind then I suggest doing a lot of zig—zagging to minimize the effect. You can also wear a wind blocking jacket and/or pants, with vents. Snow can be OK if it's not too slippery. Choose to run on extra wide streets that have been plowed and salted (run opposite of traffic). My winter routes are really boring, but I know the streets I can run on safely. These streets are wide, well lit and clear. If there's a lot of snow, you can wear trail shoes with GOR-TEX or the slip on grippers that go over your shoes. Safety is important, especially when you're running in the dark. Choose routes that are well lit if possible. Wear clothing that has reflective details, use a headlamp, and wear a reflective vest. Layers help keep the heat in and the air circulating. Moisture wicking fabric helps keeps clothes from becoming saturated. Wool is also another good option. Make sure that if it's subzero, all exposed skin is covered. 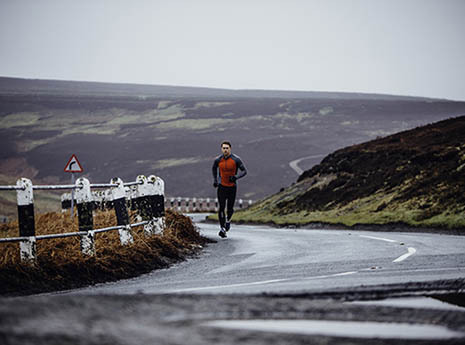 It's also a good idea to wear jackets and pants that have venting, particularly on long runs. When it's 15 degrees or colder out, I layer a pair of light weight (unpadded) biker shorts under my thermal tights; this really helps to keep the glutes warm. I temperature rate all my winter running clothes. That way I know what to wear based on what the temperature is outside. Always read the temperature by the wind chill factor (not the actual temperature). You will start out feeling cold, but you'll warm up in 5 to 15 minutes. Remember that your individual thermostat is unique, so make adjustments as necessary. 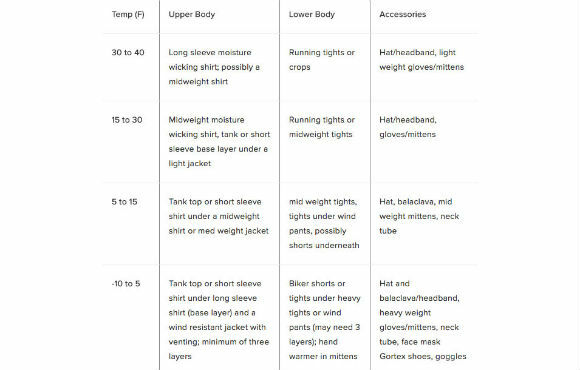 When the temperatures drops below 20 degrees, consider wearing three layers—a bottom layer to wick away moisture; a middle layer to retain the heat; and the outer layer to block the wind. 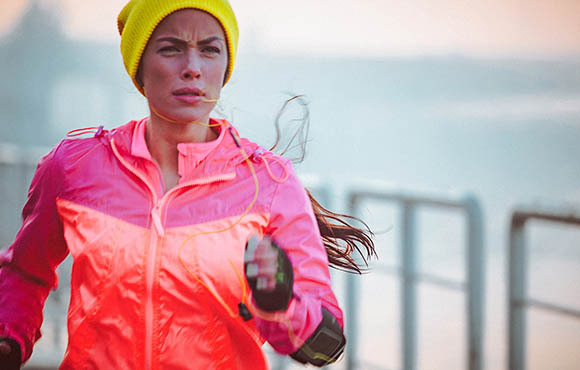 Venting is important, especially when running in extreme cold or wind.